If you haven’t heard of HelloFresh before, they are a food subscription service that delivers fresh ingredients and recipe cards straight to your door, ready for you to cook and enjoy at your leisure at home. HelloFresh was founded by ambitious chef Patrick Drake who wanted to change the way the nation eats, by supplying the best ingredients and creating an easy way for people to cook healthy, tasty food. It all started with Patrick packing shopping bags full of ingredients and hand delivering them to his family and friends. His first customers inevitably loved the idea, and so he experimented with more recipes and the idea grew. 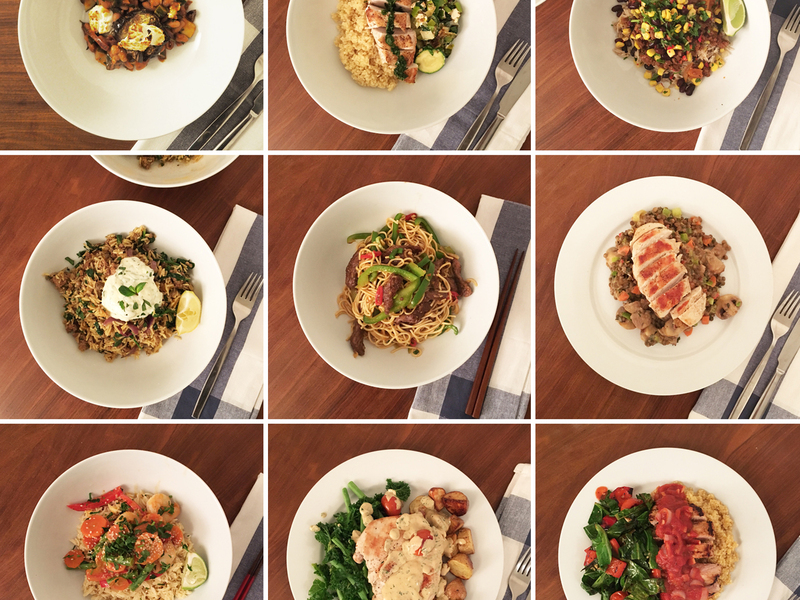 Fast forward a few years and now HelloFresh supplies thousands of homes each week, with fresh produce and recipe cards, detailing easy steps to create great dishes. I had heard, and seen, much about HelloFresh online and from word of mouth, and being the foodie that I am, I was excited to give it a whirl. 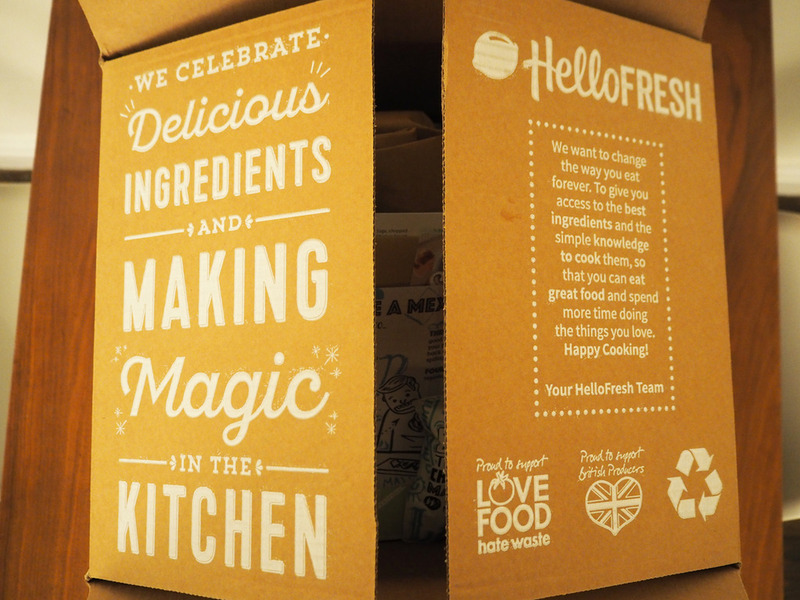 The HelloFresh website couldn’t be simpler, and this is mirrored in the philosophy of the brand. Great food and great recipes don’t have to be complicated. Everyone can cook tasty dishes, if they’re given the ingredients and the step by step guide of how to bring it together. So even the worst cooks out there can start to eat well at home, and hopefully develop their skills of cooking as the journey goes on. 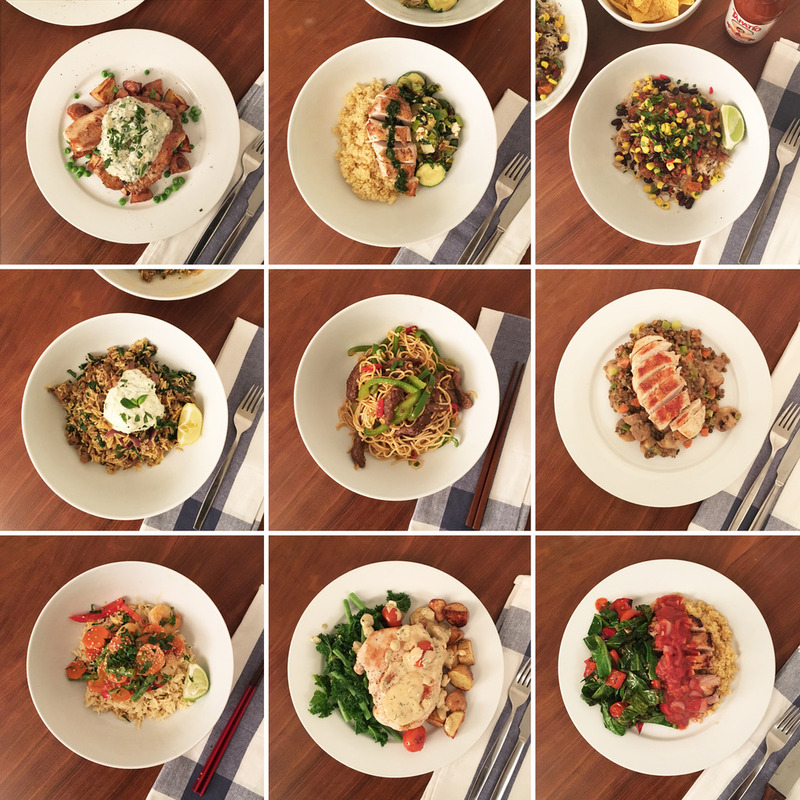 I wanted to give a full picture of the process of HelloFresh as well as the recipes we loved, and the ones that we felt personally didn’t work so well. Everything written in this review is my honest opinion! 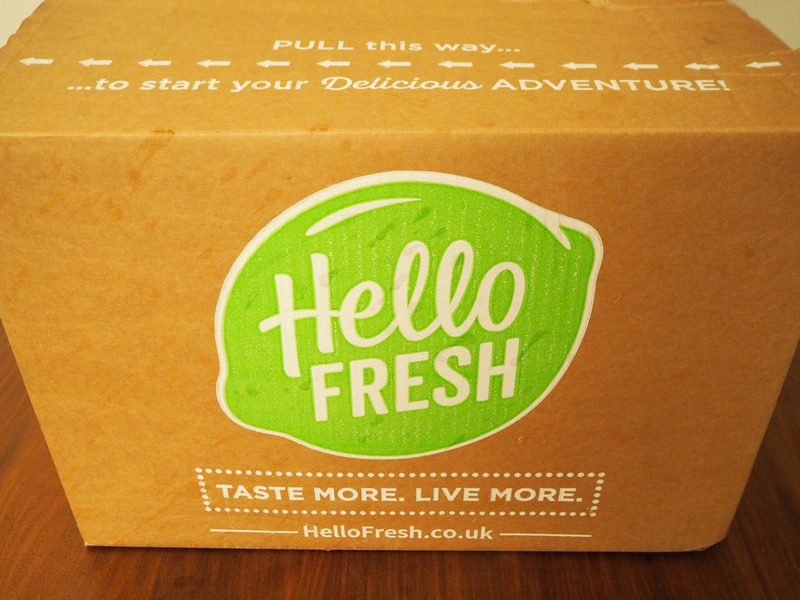 When signing up to your HelloFresh subscription you can pick whether you’d like to receive the Classic Box or Veggie Box. The classic includes meat and dairy, whilst the veggie only includes dairy. There is also a family box if you have a larger family, but otherwise the classic and veggie boxes serve either 2 or 4 people. You can also pick whether you’d like to receive 3 or 5 meals per week. We opted for 3 as we often find ourselves out and about a couple of nights a week. As the ingredients are fresh they have an expiry date of 5-7 days, so you need to be sure you’re going to be at home to eat them. Although I have been told you can freeze most of the produce to use at a later date, but we haven’t try this. Prices start from £36 for 3 veggie boxes for 2 people per week. You can choose what day of the week you’d prefer your delivery to be made, and if you’ve chosen 3 meals per week, you can even choose what recipes are included in your box. There are a total of 5 recipes each week, with 3 automatically selected for you, but you can switch 2 out for 2 different ones if you like. We chose to do this on some weeks, but others we left as a surprise. One thing I will say about the delivery times is that they are not always convenient. For example you can select either a day time delivery between the hours of 9-6pm or an evening delivery from the hours of 5-9pm. Stupidly I opted for the latter on a Monday evening, hoping that the box would be delivered closer to 5pm than 9pm so that we could cook one of the meals that same evening. Do not do this! Our box arrived at 8.30pm meaning we heated up leftovers from the night before in the microwave. Following that first delivery, we changed our slot to Sunday evening, allowing us the time to make our first the recipe on Monday. So far we’ve had 4 weeks worth of boxes and the delivery times have varied quite a bit, with some arriving at 5.30pm and 2 arriving after 9pm. I learnt that when this happens they will leave it outside your door so as not to disturb you out of courtesy. However, they do send an email to notify you. The only issue for me with this was that our delivery driver actually left it on the street! Meaning any passerby could’ve stolen it, or the contents could’ve been ruined by rain. On the first occasion, we didn’t even receive an email either. So after much discussion over the phone, I ventured downstairs and found it. However, if I hadn’t, our box would’ve been left outside over night! Not a great start. I’ve also shared a ‘free box’ with 3 of my friends, and 2 of which also received a bad delivery service. Both opted for their boxes to be delivered on a Sunday evening, however both arrived during the day. 1 box arrived a full 8 hours before her preferred delivery slot! Luckily she was at home, but I felt I had to include their feedback in my review too, as this obviously isn’t just a one off problem and is perhaps a much larger issue with City Sprint, who HelloFresh use to deliver their orders. One thing I will say though is that their customer service phone lines are open until 10pm and they will follow up. Pretty good considering the size of the company! The box itself is well packaged using recyclable materials. Inside the outer box, each meal is separated into it’s own paper bag. All dairy and meat are in a cool bag, but it’s easy to know what goes with what as all of the ingredients for each meal are detailed on the recipe cards. And each paper bag has a coloured label on it corresponding to the colour of the recipe card. 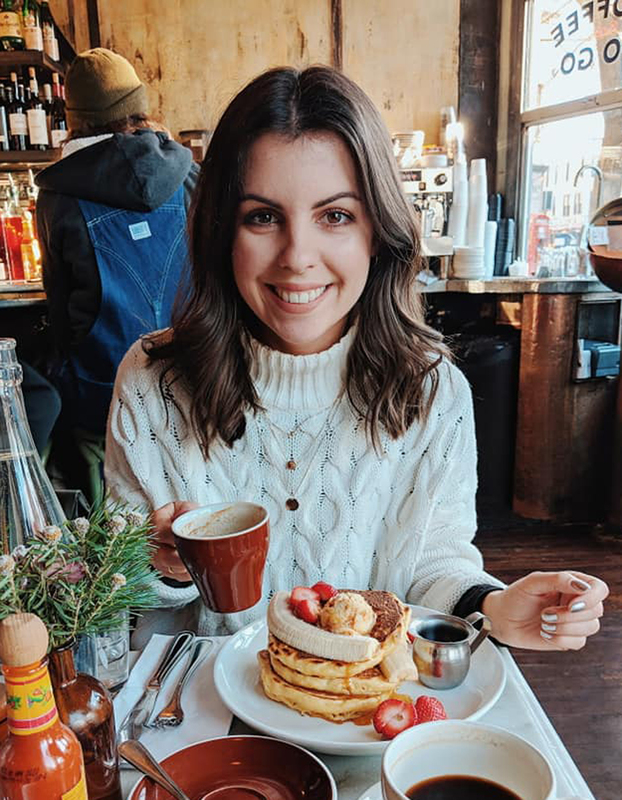 From time to time you may also receive promotional material, offering discount vouchers for your friends and family, or items of food and drink from other brands. For example in this box we received a Wahaca marinade. The recipe cards are super easy to understand. On the one side is a photo of the dish with the ingredients clearly listed below. It also includes water if you need it for stock. On the other side is the step by step process of how to make the dish. My tip here is to read both sides carefully before you begin to make the meal. I dove straight into my first meal and ended up using an entire pot of stock when I should’ve only used half! And on another occasion I began to cook the chicken, and then realised that everything else needed to be chopped and ready to go as everything cooked in the same amount of time. Oops! The ingredients are great. Everything is carefully measured, including mini pots of spices, stock pots, sachets of soy sauce and red wine vinegar, and smaller bags of fresh herbs. There is never any waste after each meal. We’ve been trying the classic box and have found the meat and dairy products to be of great quality. The meat especially! The chicken that we’ve had has been 2 breasts with the skin left on, something quite hard to find in many supermarkets. By leaving the skin on you get a much better flavour and the chicken has always been of a good size – big and juicy. We’ve really tried a variety of different meats and cheeses, including beef, lamb, chicken, prawns, goats cheese, halloumi and feta. HelloFresh also mix the carb element of the meal up too, using bulgar wheat, quinoa, couscous, potatoes, noodles and different types of rice and pasta. There hasn’t been two meals the same and it’s been great to try new things, although I must say on some of the dishes we’ve added a couple of vegetables to it to make it more healthy. For example on the noodle stir fry it only came with green pepper and spring onion, so we added mushrooms and pak choi. Some weeks you may also find you have 2 bulgar wheat recipes or 2 chicken recipes for example. But like I said, if you have opted for the 3 meals a week box, you can swap recipes in and out to keep a variety of ingredients. HelloFresh is ideal for those lacking inspiration when it comes to cooking, or for those who are less confident in the kitchen. Most of the meals are ready in less than 40 minutes, so it’s great for anyone short on time. Ingredients are picked for you and delivered to your door without you having to think about what to cook or having to go to a supermarket. The ingredients are fresh and fantastic quality! Their customer service are available over the phone until 10pm. The delivery times are inconvenient, unless you work from home. We’ve had 2 quite major issues with their delivery service City Sprint, and 2 of my friends have also had similar problems. Some of the meals require an entire pot of stock for just 2 people. This has resulted in the meal tasting overly salty. Some of the recipes are lacking in vegetables and could include far more of your 5-a-day. It’s costly. The cheapest price for a Veggie Box is £36 for 2 people for 3 meals. That’s £6 a meal. Or a Classic Box is £6.50 a meal. If you have more family members, the price does fall to £4.75/£4.92, but some might consider this still expensive. I’d love to hear if you’ve tried HelloFresh before and what you think of the idea, or if you’re currently subscribed and what meals you have coming up, or what your favourite meals have been so far. Mine have been the lamb pilaf, spiced Caribbean chilli (I blogged about here) and pan fried chicken in a tarragon sauce. We also have a Moroccan spiced fish and chips coming up next week which I’m very excited about!